HOT Item - literally. This diamond appears as if it is on fire. A GIA certified Fancy Vivid Yellowish Orange Diamond with si1 clarity. 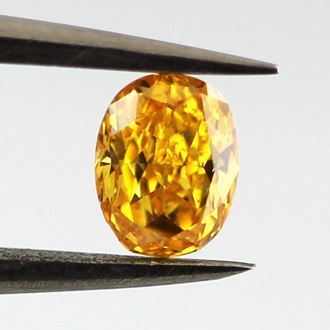 This diamond has a truly rare color often referred as pumpkin diamond. Watch the video!